Thanks to Air History I've been able to compile a list of every Vega, Explorer, and Air Express and what happened to them. The list includes a canonical NC-number for sorting purposes, Lockheed model, constructor's number, N-number history, owner, date built, and disposition. The disposition column is especially interesting, with a disconcerting number of accidents, crashes, and "destroyed". One was even broken in two by heavy snow in March of 1954 and scrapped! Download the PDF here. Download the Excel file here. Extra at no additional cost, here's an Orion doing a belly flop at Pico de Orizaba Veracruz Mexico on August 3rd, 1936. Same engine, cowl, wing, and fuselage as the Vega. 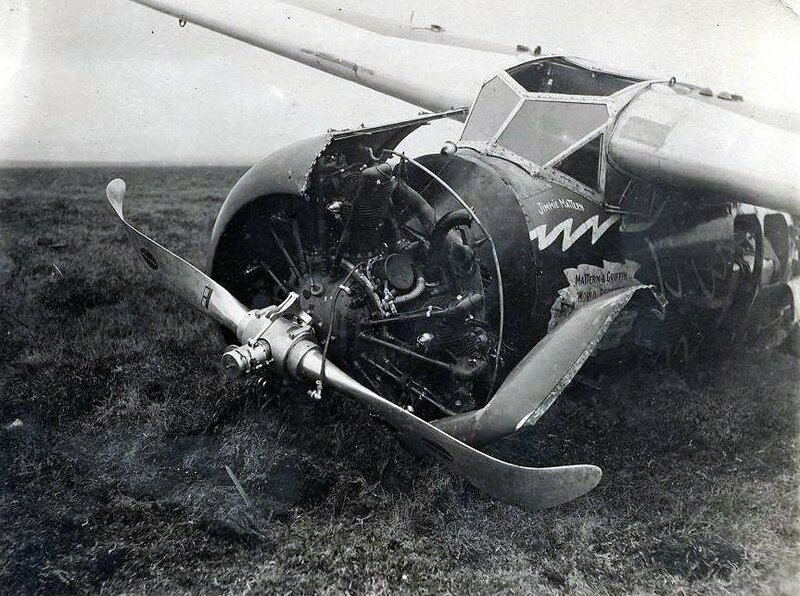 This one belonged to Pan American Airways at one point but crashed, thanks to a gear problem, while owned by Compania Mexicana de Aviacion.